An imperial mark of honour, a royal symbol of power or as a fashion accessory; crowns have been accessorized by the mankind since ancient times. However, there exist many distinct creatures, apart from humans, who possess exceptionally beautiful nature-gifted crowns (or crests) on their heads. Listed below are some birdies boasting their elegant crowns with pride. Have a look at these ten beautifully crowned birds. Turquoise blue, black and yellow body plumage with a bright yellow and red tipped beak, and a blue-black raised crest. 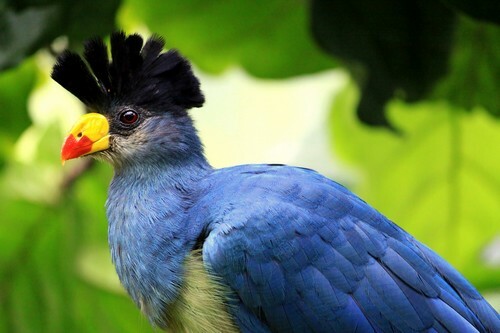 The Great Blue Turaco is an attractive and colorful bird found in equatorial Western Africa. It is the largest of all Turacos; can grow up to 76 cm in length. It is actively hunted for meat and feathers. The blue and yellow tail feathers are prized for making good luck talismans. It is also called as Kolonvo. A lovely white bird adorned with an expressive yellow crest. 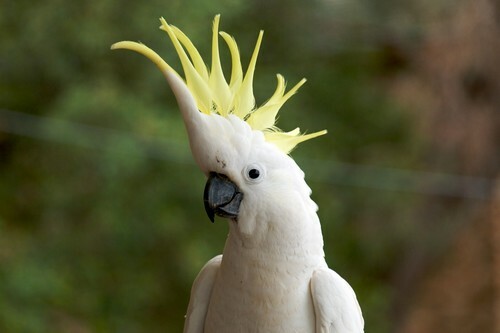 The Sulphur Crested Cockatoo is popularly demanded as a pet. Conversely, it is considered and even killed as a pest in some parts of Australia where it can be locally very numerous. These birds are innately curious and intelligent. A cockatoo named Snowball was noted to be the first non-human animal capable of synchronising movements to musical beats. 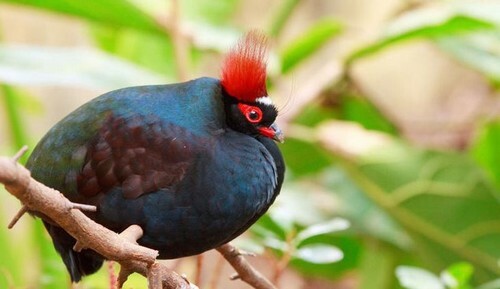 The Crested Partridge is a tropical bird found throughout the rainforests of Southeast Asia. It is a round, short tailed bird featuring sexual dimorphism. The male has a dark metallic green body and a tall, fluffy red pouf, whereas the female counterpart has a pea green body with no crest. This ground bird flies a short distance when necessary. It falls under the category of Near Threatened Species. 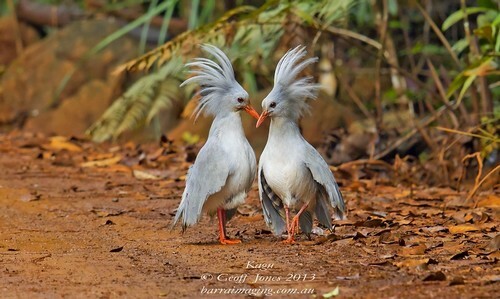 The Kagu is an unusual bird endemic to the dense mountain forests of New Caledonia. Its appearance has made it famous as ‘the ghost of the forest’ amongst the locals. Its unique nasal corns are a feature shared by no other bird. It is a flightless bird with a bluish grey plumage and a long crest. It was fashionable to pet Kagus before 1977, when a campaign was led against the practice for their conservation. The evolutionary history of this particular bird is still something of a mystery. 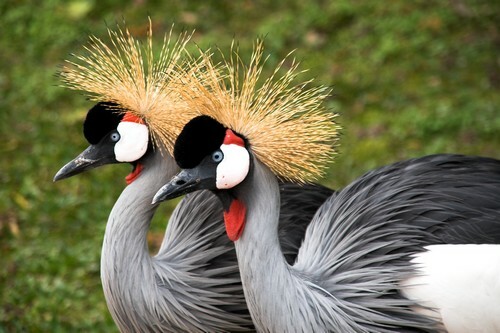 Also popular as the Grey Crowned Crane, this endangered species of bird is most found in Uganda, Kenya and South Africa. It has a grey body plumage and a crown of stiff golden feathers. This and the closely related species, the Black Crowned Crane, are the only cranes that live on trees. It is the national bird of Uganda. 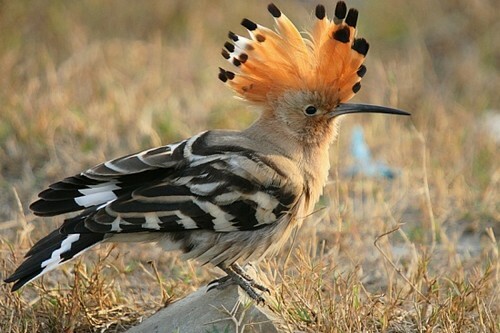 The Hoopoe is an exotic bird ranging throughout Africa, Europe and Asia. It has a pinkish brown body with bold black and white stripes and a feathered crown with black tips. Its lengthy, slightly bent beak is an important tool which helps it dig into the ground to find insects. It is the national bird of Israel. The most notable feature of the Royal Flycatcher is its long ornate crest, which is red to orange, with black and blue spotting. It is seen displayed rarely, except after mating, in courtship, while preening and being handled. The bird has a long tail and bill and plumage is mostly brown. It inhabits the lower levels of humid evergreen or deciduous forests all over the world. 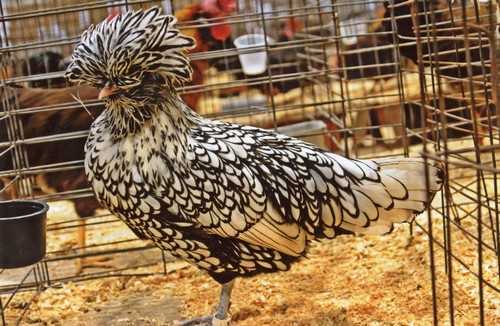 Polish Chicken: Beautifully Crowned Birds. The Polish is a European breed of chicken. There are bearded, non-bearded and frizzled varieties. Along with a small v-shaped comb, it has a very large crest of feathers which limits its vision and also hides its earlobes. This can have an effect on its temperament. It is primarily reared as a show bird. The origin of this breed of chicken is still a controversial topic. 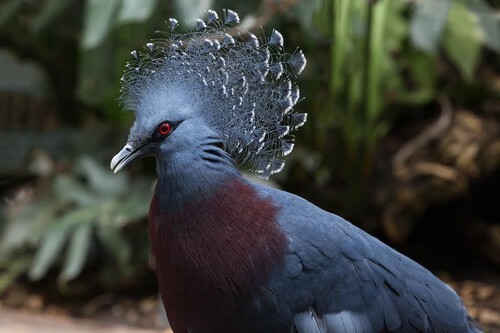 The Victoria Crowned Pigeon is a ground dwelling bird native to New Guinea. Its name commemorates the British monarch Queen Victoria. The deep blue grey plumage, maroon chest and hot red irises give it a majestic look. However, the most worthy of mentioning is its distinct elegant blue lace like crest with white tips. It happens to be the largest surviving species of pigeon on earth (up to 75cm long). 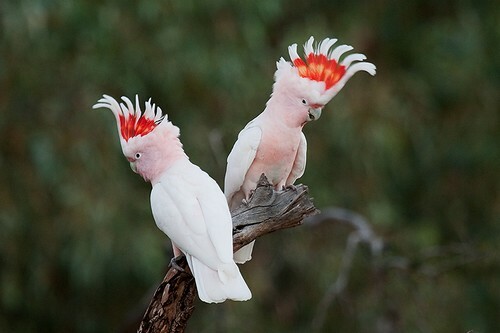 The Major Mitchell’s Cockatoo is often described as the most beautiful of all cockatoos for its unique bright red and yellow crest which wonderfully contrasts the salmon pink and soft textured white plumage. It is named in honour of Lieutenant Colonel Sir Thomas Livingstone Mitchell, surveyor and explorer of South East Australia, who praisingly wrote about its beauty. Also called as the Leadbeater’s Cockatoo or the Pink Cockatoo, this bird is endemic to Australia. The oldest recorded parrot ever is Cookie, a Major Mitchell’s cockatoo who was 82 years and 89 days old when he passed away on 27 August 2016. 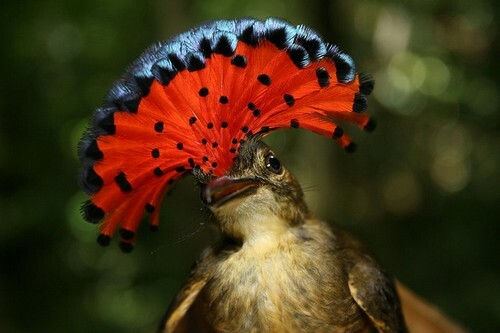 Which one of these 10 Beautifully Crowned Birds is your favorite?